Are you looking for some additional seating to your bedroom, living room or hallway? This stunning stool is the perfect answer! 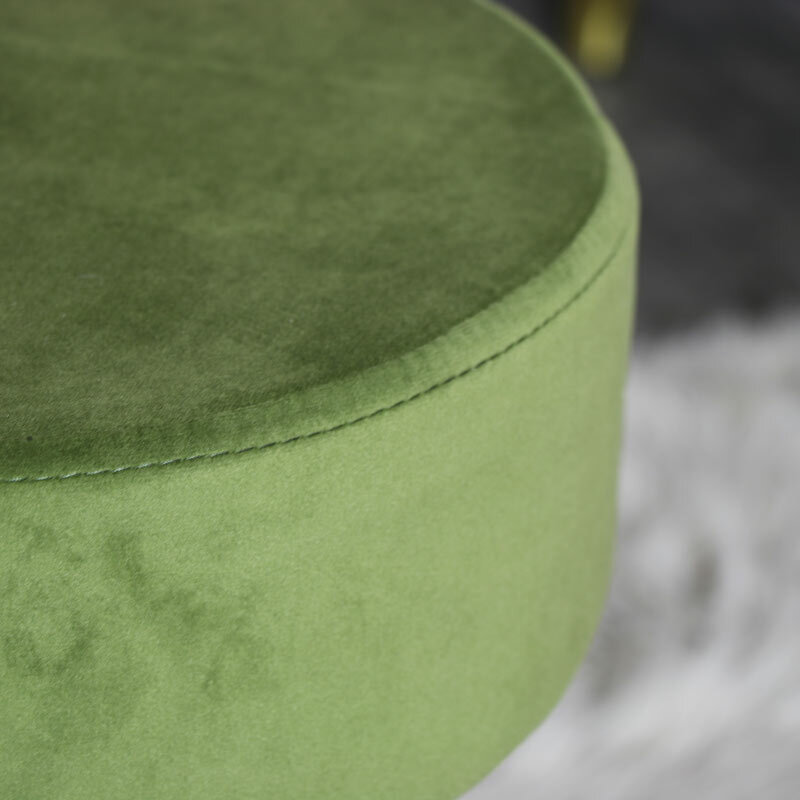 Upholstered in a rich green velvet, this will add a touch of glitz and glamour whilst maintaining comfort! Sumptuous elegance and comfort, this stool will make the perfect dressing table stool for a modern contemporary look. Ideal for adding some extra seating and a fantastic addition to our selection of velvet stool, chairs and sofas. 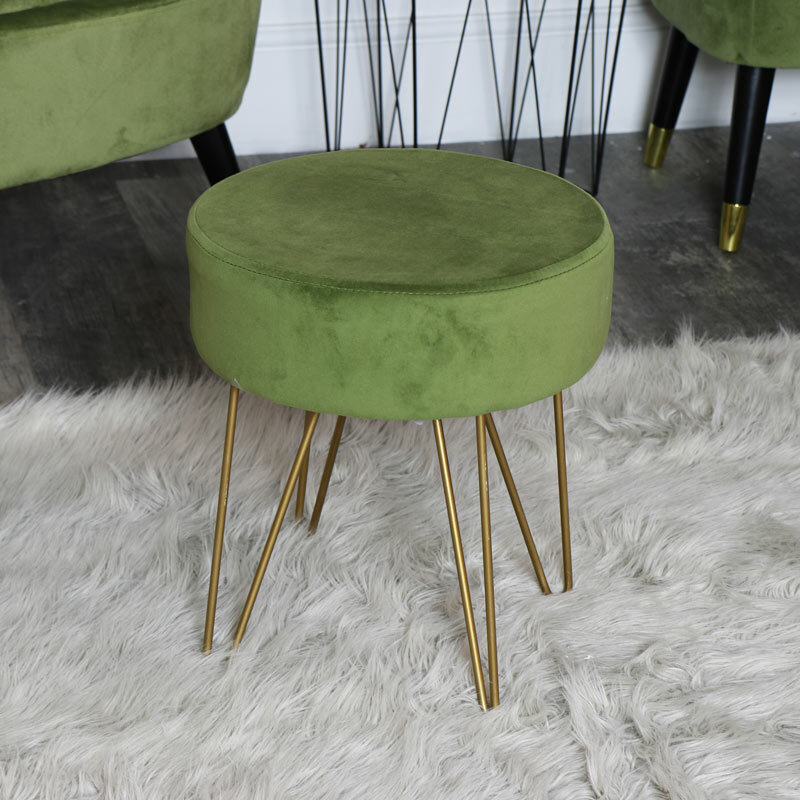 Upholstered in a luxurious palm green velvet fabric with a gold painted metal hairpin legs with a seat height of 40cm.